"Twin Ring Motegi" which is located 130 km north of Tokyo, is a one of biggest motor racing tracks in Japan. It is famous for professional racing events like the Indy Japan 300, MotoGP World Championship, Grand Prix of Japan, and so on. But on this day, the track was occupied by amateur racers without motors. 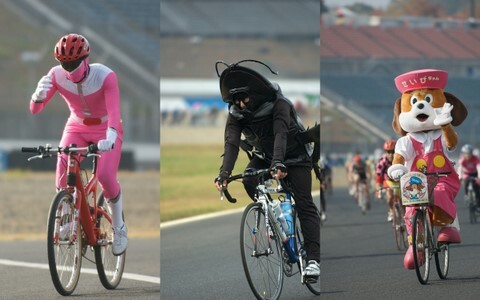 The "Motegi 7 hours" is not a serious race event, but a casual bike race everybody can join. You can run the circuit for 7 hours solo, or team. Though there are some categories, such as Road, MTB+Small wheel bike+Recumbent or City Bike, all kinds of bikes ride together. Our team was mixture of 2 VeloMobiles, 2 trikes, and a (normal) recumbent bike. 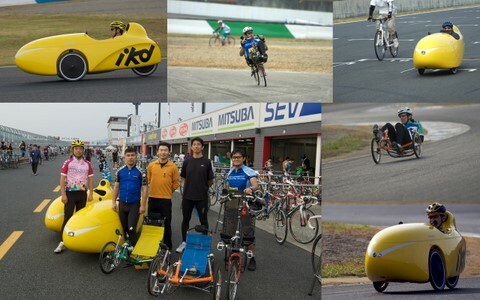 A lot of people talked to us because the VeloMobile is very rare in Japan yet. Some of the racers competed to win, but most of the people rode just for fun. Some people rode the event wearing funny costumes. I saw PowerRanger, a dog, a panda bear, and a cockroach riding on the track. 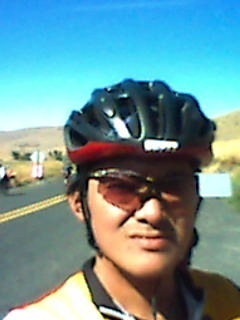 I heard that Yukiya Arashiro, one of two Japanese who finished the Tour de France 2009, was going to visit the event and ride with the pack for awhile as a guest, but I couldn't find him because there were so many roadies on the track. To be honest, I was busy pushing my pedals hard rather than looking around the track. Our team finished the race in the middle of the category. It is not so bad for us guys with less fitness. 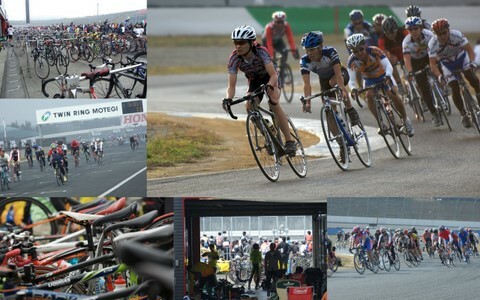 Riding recumbent in the racing track was a refreshing experience for me. I hope I'll back to the track next year in better condition, and less weight. This page contains a single entry from the blog posted on November 16, 2009 12:00 AM. The previous post in this blog was Cycling Terminals in Japan. The next post in this blog is Gingko tree's bomb.